American Security Alarm has been protecting residential, commercial and industrial facilities from the threat of fire for over 33 years. 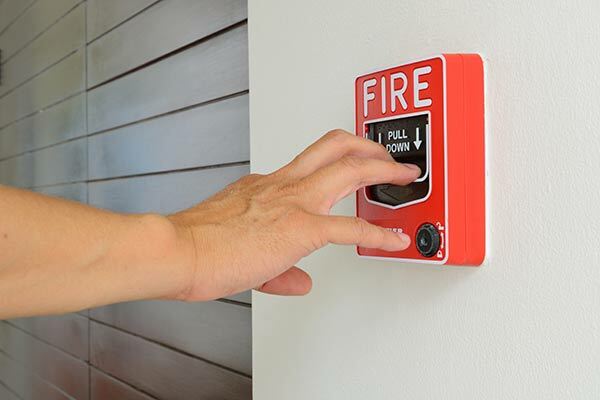 We offer fire alarm systems by Silent Knight, one of the most trusted names in the industry. At American Security Alarm, we are experts in placement and quality installation of control panels, heat sensors, carbon monoxide detectors and smoke detectors. Commercial fire alarms require knowledge of federal and local codes, proper permits and licensed professionals to install the system. At American Security Alarm, we have decades of experience providing these services to both small and large businesses. We also provide full and efficient annual inspections of your fire alarm system. If deficiencies are found, American Security Alarm further provides repair or coordination of repair as may be needed for your particular brand of equipment.